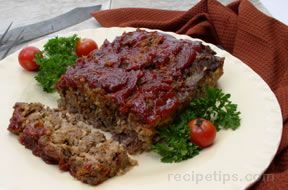 This turkey meatloaf recipe makes a healthy alternative to traditional meatloaf. 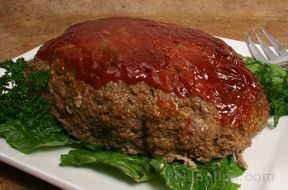 Ground turkey combined with ground beef provides a flavorful dish with less fat and calories. 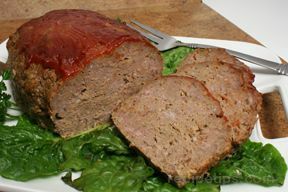 This turkey meatloaf served with your favorite potatoes and a side makes a delicious meal. In medium skillet, over med-low heat, cook onions in olive oil with salt, pepper and thyme until translucent but not browned (approximately 15 minutes). Add Worcestershire sauce, chicken stock and tomato paste. Mix well. Allow to cool slightly. Combine ground turkey, Italian-style ground turkey, ground beef, bread crumbs, Herbs de Provence, eggs, and onion mixture in large bowl. 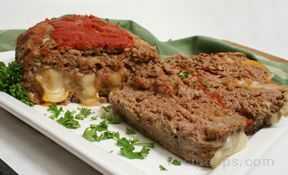 Mix well and shape into mounded rectangle shapes and place in baking dish or baking sheet pan. Spread ketchup evenly over top. Bake for 1 hour 15 minutes or until internal temperature reaches 160 degrees and loaf is cooked through. Serve hot, or cold in a sandwich.